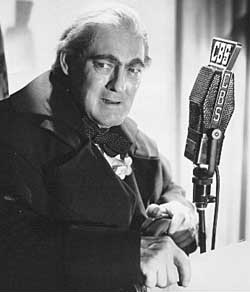 Few actors ever gave more meaning to the character of miserly Ebenezer Scrooge than Lionel Barrymore who first took on the radio role in 1934. 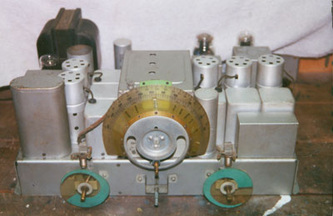 _ This is a 9 tube superheterodyne console radio with broadcast and police bands and an interesting feature Grunow called “Si-lec-trol”, intended to simplify the selection of favorite stations. 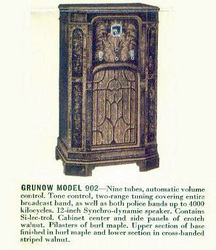 _William C. Grunow (1893-1951), along with Bertram Grigsby and William Hinds, formed the Grigsby-Grunow company in 1921 making auto accessories. 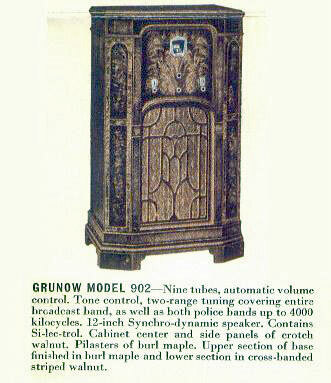 In 1924 they began making horn speakers (marketed under the "GGH" trade name). 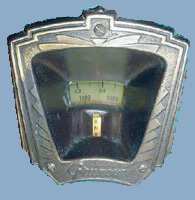 In 1925 they marketed battery eliminators under the name "Majestic". 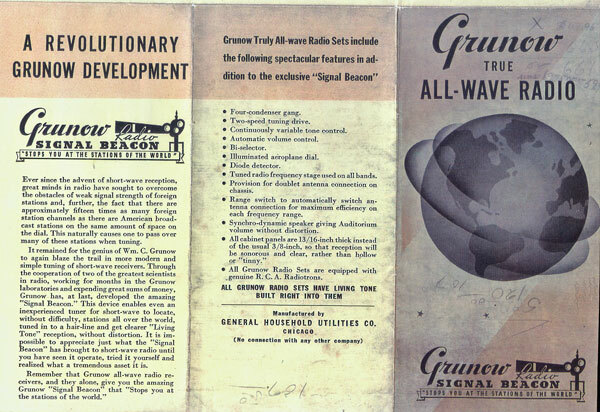 Radio production began in 1928 and they added tube production in 1929. William Grunow left the company in 1931 and formed the General Household Utilities corporation marketing radios under the "Grunow" name. 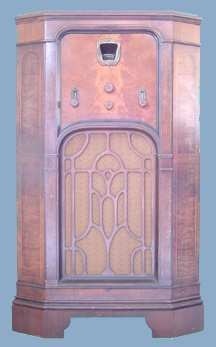 The company ceased radio production in 1937 after which Grunow moved to Wisconsin and started a poultry farm named "Val-Lo-Will Farms" after his three children: Valerie, Lois, and William.